Today is the release day for the paperback edition of Vessel!!! This book is really special to me because writing it was such a magical experience. Every time I sat down to write it felt like stepping through a portal. 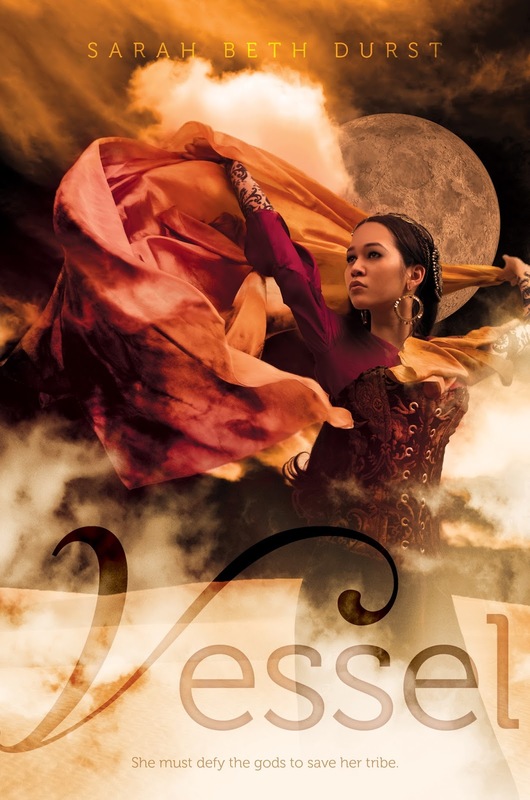 Vessel is my first novel set entirely in a fantasy world -- a desert land filled with wolves made of sand that hunt within storms, sky serpents made of unbreakable glass that fly through the sky, and gods that walk the desert in human bodies. It's about Liyana, who is destined to be a vessel, to sacrifice herself so her clan's goddess can inhabit her body... but her goddess never comes. More information about Vessel, including the first two chapters, can be found here. Vessel is also special to me because LION!!!!!!!!!!!!!!!!! Earlier this summer, I was thrilled and honored to learn that Vessel had been awarded the 2013 Mythopoeic Fantasy Award for Children's Literature. And just a few days ago, I received the loveliest thing I've ever gotten in the mail: the gorgeous lion-shaped Mythopoeic Award statuette!!!!! The award (called an Aslan, in honor of the most awesome lion in English literature) is now sitting on my desk next to my laptop. OMG, he's so pretty!!! .....but less with the evil and much more with the awesome! Remember George McFly's box of books in Back to the Future? After Marty returns to 1985 and before anyone notices how severely his memories are messed up (which, incidentally, sounds like the start of a horror movie -- his family and friends all possess a different set of memories), he watches his dad receive a box in the mail, brought inside by Biff (who is inexplicably allowed to be anywhere near Lorraine). George opens it, and it's the author copies for his first published novel. Apparently it's too minor a moment to even rate a YouTube video, but it was formative for me. As soon as I saw that movie, I started wanting that box. So now, every time I receive author copies of a new book, my husband and I call it the Back-to-the-Future box. Or sometimes the Breakfast-Club box when we mix up our 80s movies. And then "Don't You Forget About Me" gets stuck in our heads for hours. Opening boxes like this does not get old. In fact, it feels like bells should be ringing, angels should be singing, and elephants should be trumpeting. The Back-to-the-Future box is final, incontrovertible proof that the book is real -- and that soon, very soon, it will be out in the world! Here's the deal. THE LOST was scheduled to be released from the Luna imprint (division) of Harlequin on October 29, 2013, which is just a bit more than two months from now. It's all set to go. Written. Edited. Copyedited. Proofread. Cover finalized. Everything. However, in the interest of giving the trilogy the best launch we possibly can, it was recently decided that the trilogy should be shifted from Harlequin's Luna imprint to their Mira imprint (same publishing house, same editor, different division). Mira is a significantly larger imprint than Luna, with more marketing muscle, and a list that spans a wider range of genres. As a result, under the Mira imprint, these books are more likely to find their way onto both fantasy shelves and mainstream fiction shelves, and therefore into the hands of a wider range of readers -- which is great news. With this change of imprints comes a change in release schedule as well. Essentially, it was decided that the books should come out closer together -- 4 to 6 months apart rather than 7 to 9 months apart -- so readers will have access to the full trilogy within a shorter span of time. This is also great news, both for readers and for me. While the release of the first book, THE LOST, has been delayed by about seven months, the shorter time between books means that the third book, THE FOUND, will come out right around the time it was always going to come out. So that's the big news. I apologize to those of you who were looking forward to reading THE LOST in November, but this change should be really good for the trilogy overall and the more compressed release schedule will mean shorter waits from book to book. Plus, the release schedule for my YA books remains unchanged, with CONJURED coming out just 12 DAYS from now and my next YA, MIND OVER MAGIC, coming out around a year after that. So it looks like I won't have two books out in 2013 after all. Just the one, CONJURED. But if this schedule holds, I'll have three books out in 2014!!! Should be quite a year! Very excited to share with you this lovely review of Conjured from Horn Book!!! High School Walker 303 pp. This review completely made my day. Another thing that made my day: the realization that in less than a month, Eve will be out in the world!!! Granted, I do wish the summer weren't flying by quite so fast. I feel like it's vanishing faster than an ice cream cone. But I can't be sad since it means I'll be able to share Eve and her creepy, topsy-turvy, wild life with you soon... in 23 days, to be exact! Yay!!! Welcome (again) to the Writer's Toolbox! In this blog series, I'm talking about nitty-gritty writing craft stuff. Today's subject is character names. Juliet famously stood on her balcony and proclaimed that names are meaningless and a rose would smell as sweet if it were called "skunk cabbage" or "baboon." And then she died because she was totally wrong. Also, unable to use the postal service in an effective way, but that's beside the point. Point is that names are an important tool in the Writer's Toolbox. 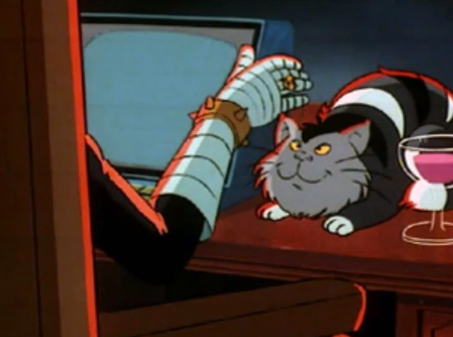 Name a character Ebenezer Scrooge or Darth Maul or Elizabeth Bennett or Her Majesty Queen Silverhoof of the Lakeside Unicorn Clan, and you set up certain reader expectations for their personality and their fate. It's then your choice whether to fulfill or subvert those expectations. So... how to name a character. I decided when I was ten years old that I wanted to be a writer, and one of the first things I did was read the phone book. (I'll pause for you to tilt your head in befuddlement and contemplate what an odd child I must have been. I'll wait. Done? Good. Let's move on.) I did it to find character names, and I wrote each name down on its own index card and then assigned them magical powers and talking animal friends. And really, that's not a terrible way to find names. In fact I'm going to go with that as resource #1: the phone book. Resource #2 didn't exist when I was ten years old, and it's the one I use most often when writing stories set in our world (or a variant of): the Social Security Administration website. It has a database of all the first names in the United States, ranked by popularity and searchable by year of birth. It allows you to find common names from a particular era. Very useful if you want to hint at a character's age without investing a lot of words describing them -- you can choose a name that was popular in a particular time period and not in others. Resource #3 is baby name books. There are tons of them out there, and they boast names ranging from common to obscure. Often they list their origin and meaning. Only downside of these is if you have them in the house, your relatives and friends will start wondering about what's coming in nine months. And last but not least is resource #5: children. If you're looking for exotic names for characters in a fantasy world, ask a little kid to invent some names. They excel at stringing together nonsense syllables that sometimes end up sounding pretty darn good, and they aren't burdened by years of experience in what a name should be. Next: when to name a character. How do you know when a name is the "right" name? Um... I really don't know the answer to that. When the name is right it just kind of clicks in your brain, like when a puzzle piece fits neatly into a puzzle. Once you have the name, the rest of the picture should get a little clearer. The name should, hopefully, lead to a clearer vision of the character's voice and/or lead to more revelations about the character. And by the end of writing about a character, it should feel like he or she never had any other name. Especially not Skunk Cabbage or Baboon. Know of any other good resources for naming characters? Where do you find your names? Please share!